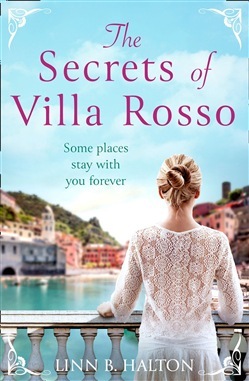 Some places stay with you forever… When Ellie Maddison is sent on a business trip to Southern Italy, she's reminded why she loves her job – set amongst rolling vineyards and rich olive groves, the beautiful Villa Rosso is the perfect escape from her life back home. But what Ellie isn't prepared for is the instant connection she feels to the estate's director Max Jackson, or the secrets they share that are as intertwined as the rambling vines that cover Villa Rosso. It's not long before Ellie finds herself entangled in the history of the place, trying to understand the undeniable effect Max is having on her. As their relationship grows, what will Ellie discover about this idyllic villa and those who have walked through its doors? What started as a simple work trip will change Ellie's life forever. Acquista The Secrets of Villa Rosso: Escape to Italy for a summer romance to remember in Epub: dopo aver letto l’ebook The Secrets of Villa Rosso: Escape to Italy for a summer romance to remember di Linn B Halton ti invitiamo a lasciarci una Recensione qui sotto: sarà utile agli utenti che non abbiano ancora letto questo libro e che vogliano avere delle opinioni altrui. L’opinione su di un libro è molto soggettiva e per questo leggere eventuali recensioni negative non ci dovrà frenare dall’acquisto, anzi dovrà spingerci ad acquistare il libro in fretta per poter dire la nostra ed eventualmente smentire quanto commentato da altri, contribuendo ad arricchire più possibile i commenti e dare sempre più spunti di confronto al pubblico online.